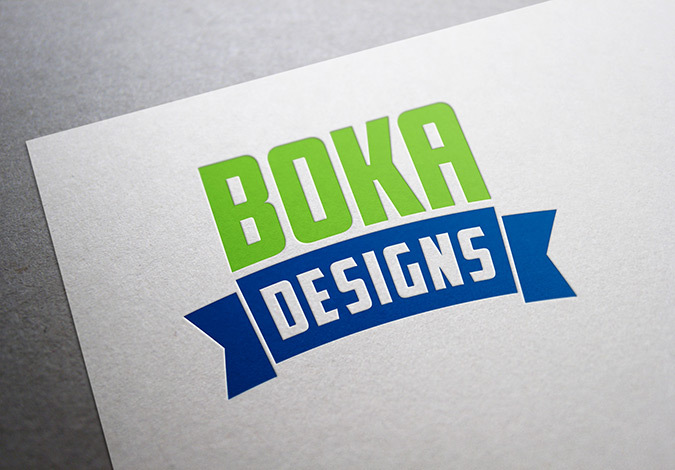 We know that adding our own logo to the portfolio might be redundant, but we decided to include it since we underwent an extensive re-design and re-branding phase. 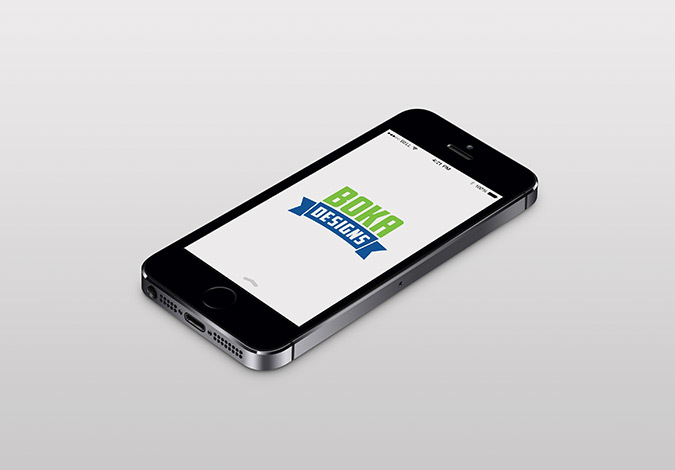 This logo was a complete redesign of the original Boka Designs logo, and is updated to the more current badge concept. 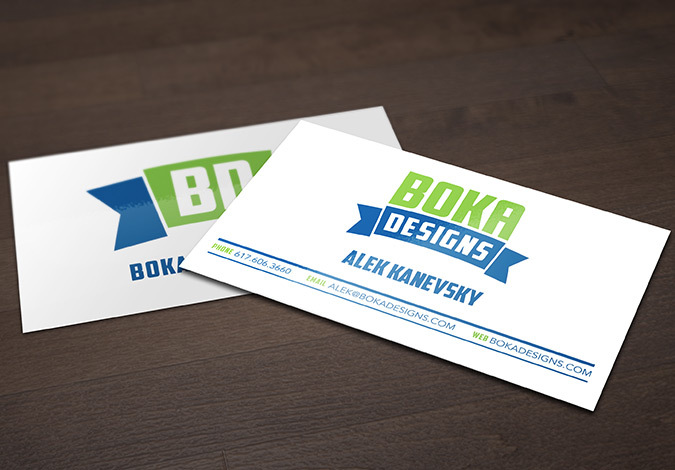 The business cards are white with an attention grabbing green and blue color scheme for the lettering. The names of the designers is also large and stands out from the rest of the cards you come across because this isnt a company like the rest that you come across.